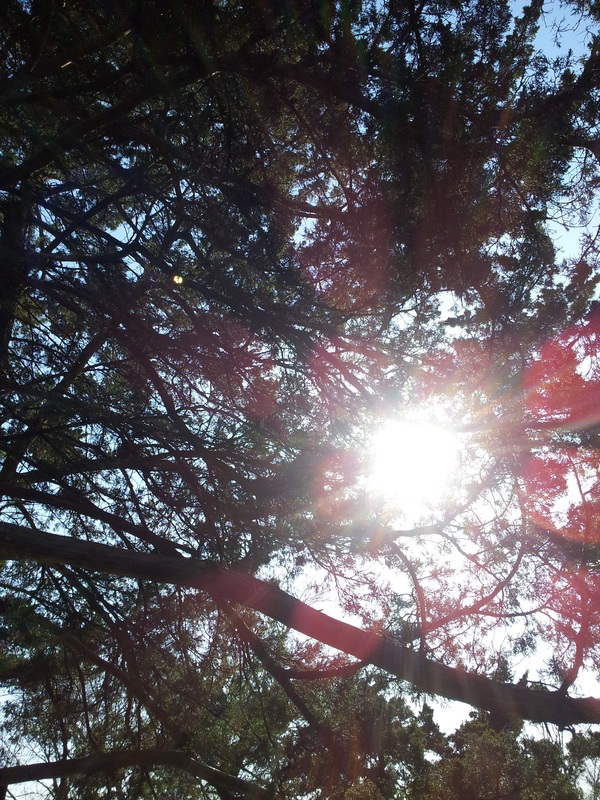 This is not exactly a great photo of the sun peering through the branches of a Juniper tree, but I like it. If you look at this photo in the right way, the sun appears to have a red flower blossoming around it. This is of course a distortion in the photography. I like to think this picture is sending a message — that the light of our world is always blossoming if only we have the eyes to see it. May you have a wonderful weekend where you discover the hidden messages of inspiration found in the simple and magical unfolding of life around you. ← Do Others Discover Themselves Through Your Words? OMG. That is amazing how you can actually see a red flower around it. Too cool! Thank you for pointing out the red blossoming around the sun rays and your inspiring message. I love your perspective on this challenge. Blessings!! I’m glad you stopped by the site. Blessings to you as well!